I have a stash, a card stash. It's filled with cards right now and until recently, didn't have any get well cards. So I started making some, then everyone around me and even some people from Church got sick. 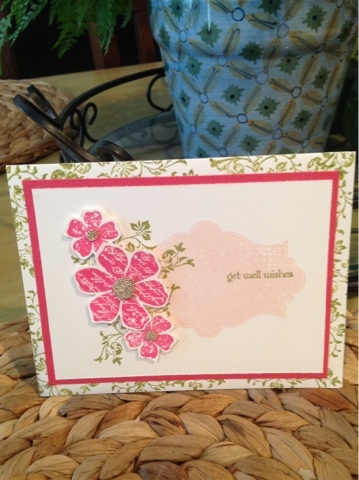 Here's a beautiful get well card made with the Everything Eleanor, Vintage Vogue (retired) and Teeny Tiny stamp sets.